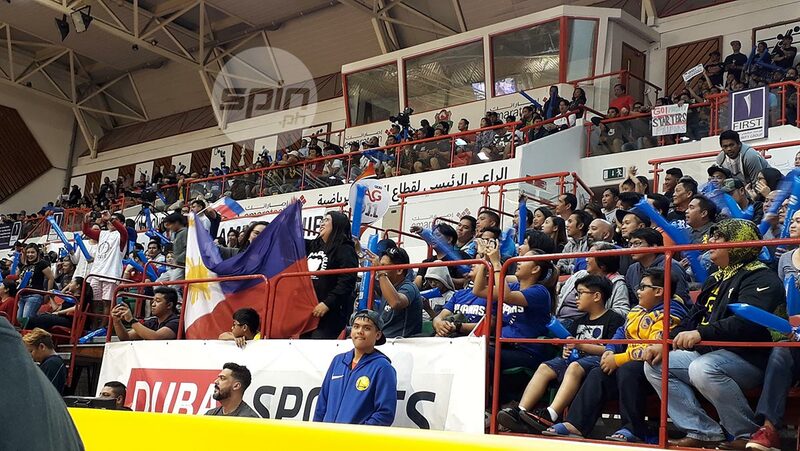 DUBAI – Each time Justin Brownlee made a defining basket or a timely block for Mighty Sports in the 2019 Dubai International Basketball Championship, an all-too-familiar chant broke out from the crowd at the Shabab Al Ahli Club. “GI-NE-BRA! GI-NE-BRA!” the fans would begin to chant in unison. Dubai may be almost 7,000 kilometers away from Manila, but Brownlee felt he’s right inside Araneta Coliseum, playing for Ginebra in a crucial PBA game. And that’s what they got. Ginebra fans - and Dubai-based Filipinos in general – made Brownlee and the rest of the Mighty Sports team feel at home in this ultramodern United Arab Emirates city where around one million OFWs reside, comprising almost one-third of the city’s total population. Pinoys showed their support on gamedays by coming out in full force, with an estimated average of 2,500 Filipino fans watching live at the 4,000-seat venue. 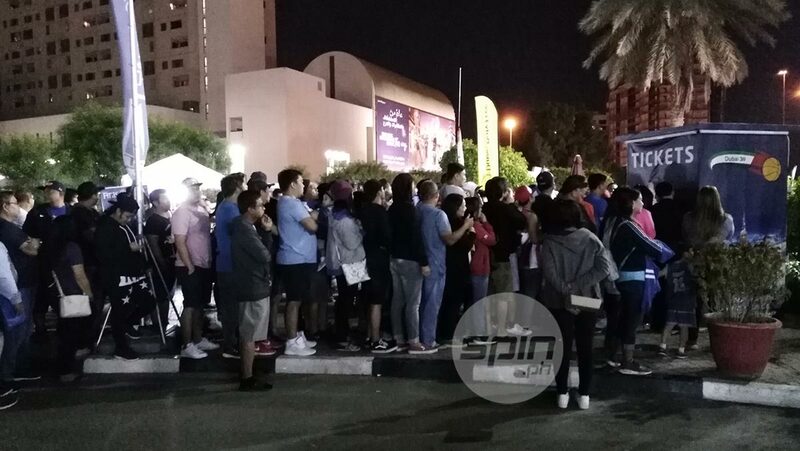 Tickets, initially priced at 30 Dirhams, were already selling like hotcakes in the group stage, yet the gym got even more packed when the price increased to 50 Dirhams (P700) in Mighty’s knockout semifinal against Al Riyadi of Lebanon. "Iba sumuporta ang mga kabayan dito. Maski ang ulam bukas ay sardinas, bibili ng ticket basta makanood lang ng laban ng Pilipinas,” said Robert Prado, co-owner of MPQ Travel and Tourism in Dubai, UAE. A significant decrease in attendance on the last day of the nine-day competition where Mighty was already out of title contention and was settling for third-place honors was evidence of the Filipinos’ command of the venue. 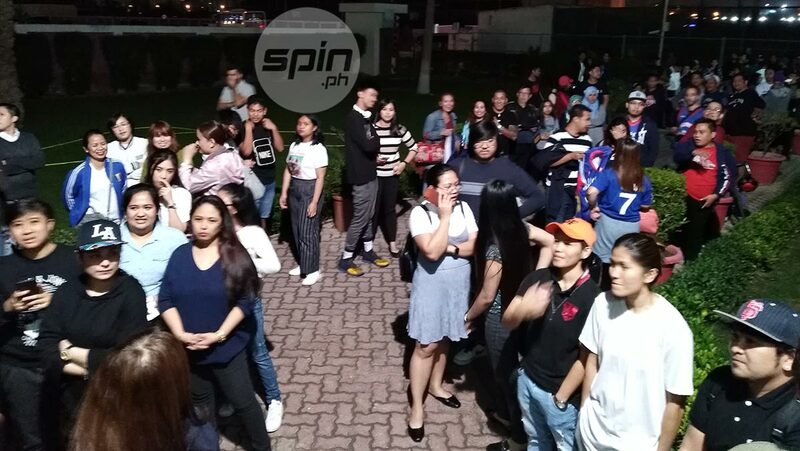 Win or lose, Pinoys would show up - even after games, with around 100 fans waiting at the back entrance of the venue to get their pictures with the Mighty players. Brownlee received the most attention and rockstar treatment as he would grant every photo request to the point that the team asked him to get another ride back to the hotel so the team bus could already leave ahead of him.